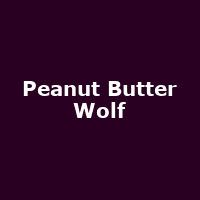 Peanut Butter Wolf is American DJ and record label-owner, Christopher George Manak. He founded Stones Throw Records in 1996. He released his debut album, "My Vinyl Weighs a Ton" in 1999, plus 2003's: "Big Shots".